The Hamptons is the perfect vacation spot, and with the perfect vacation spot comes a lot of options. However, sushi is one great option the Hamptons offer if you want to dine in or carry out. Here are our top sushi restaurant choices in the Hamptons. Looking for Instagram worthy sushi? Sen Sag Harbor is the place to go. Sen Sag Harbor has been located on mainstreet in Sag Harbor since 1994, and is celebrating its 25th anniversary this year. Sen Sag Harbor offers over 20 different sushi options ranging from Hokkigai Surf Clam to Torro. It also has vegetarian and gluten-free options available. Sen Sag Harbor is located at 23 Main Street, Sag Harbor, NY 11963. Yama Q is located in Bridgehampton right on main street. The quaint building offers a quiet, yet unique dining experience for everyone. Yama Q offers 27 different options of sushi from octopus to shitake mushroom. They believe in healthy living, and prides itself on serving their guests healthy food. They also have their fish locally sourced from fisheries, farms, and forgers. Yama Q is located at 2393 Montauk Highway, Bridgehampton, NY 19932. Looking for something on a bit lower in budget? Sakura House has the perfect sushi for you. Both delicious and generous, Sakura House sushi is perfect for any time as they offer huge platters to satisfy any party. They have over 23 different options available to choose from, and offer take out. Sakura House is located at 540 Montauk Highway, East Quogue, NY 11942. Zakura is a sushi lover’s paradise, and is perfect for those who come quite hungry. Zakura is located slightly off of Montauk Highway, and offers an aesthetically pleasing dining experience. 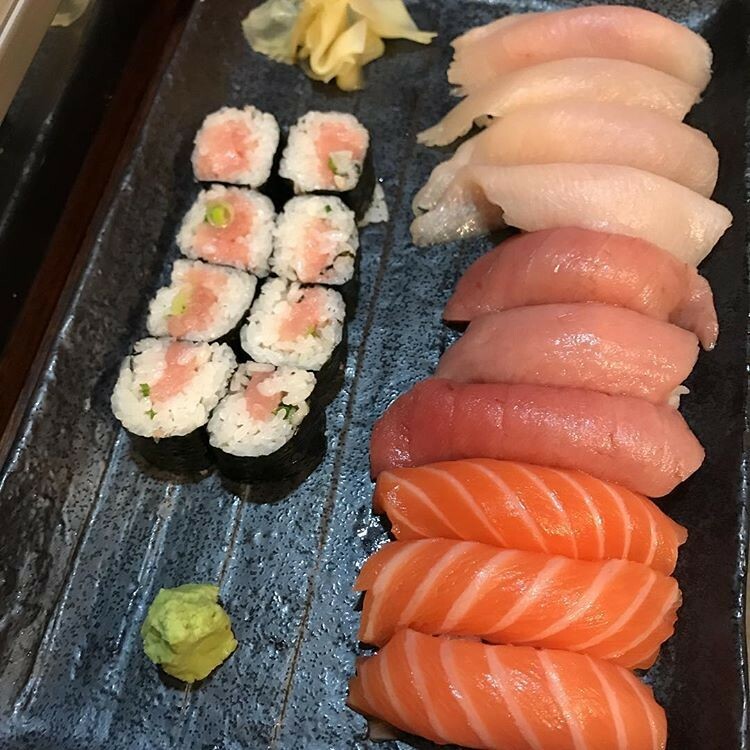 They have a sushi bar with 10 different options to choose from, 20 singular a la carte options, 22 roll a la carte options, and their sushi is served with soup. While you’re there, you might want to try out their Hampton roll which is spicy tuna, yellowtail, scallion, and cucumber. Zakura is located at 40 Montauk Highway, Amagansett, NY 11930.